Last November I tweeted an image of one of my finished pieces and asked for help coming up with a title. At first I didn’t hear anything but then after a few retweets months later, I got so many responses that I was overwhelmed! Many thanks to P. Clair who suggested the title that I decided on: The Wait of Winter. It captures the gloomy feeling of being snowed in that I was thinking of when working on this piece. I think I will definitely try this again in the future when I’m at a loss for a title! 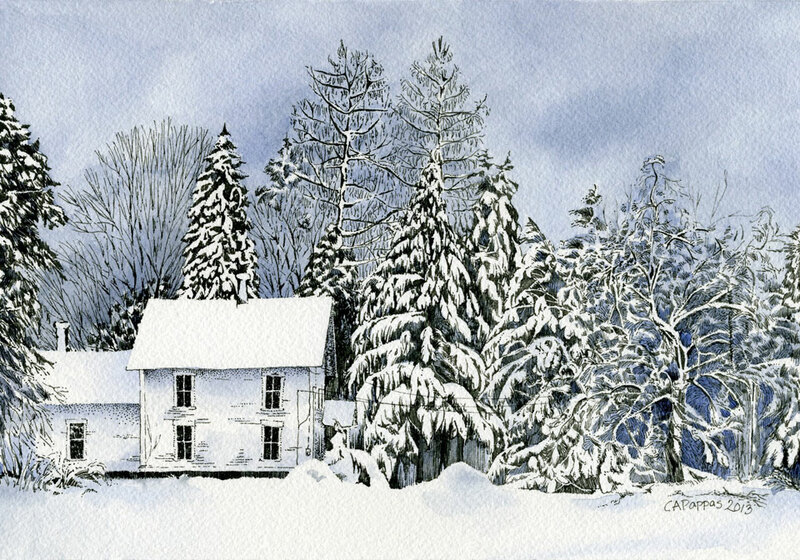 ©2013 Carolyn A Pappas, The Wait of Winter. Ink and watercolor, 7 x 10 inches.